The Spanish lado (“side”) comes from the Latin latus (“wide”). There are many surprising English words from the same Latin root. 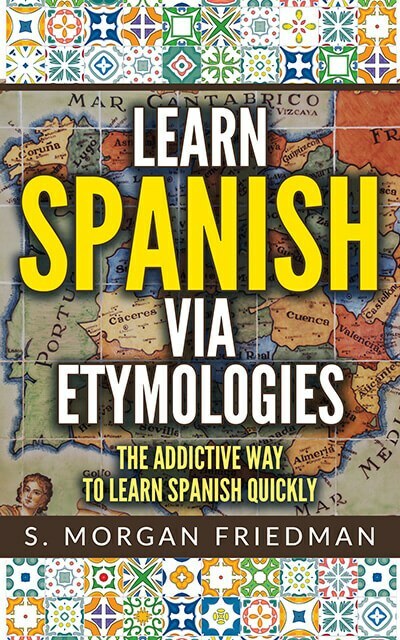 “Surprising” largely because the l-t sound was preserved in English, but evolved into the similar l-d sound in Spanish–thus making the connection less obvious and still interesting. Lateral, and its variations such as, unilateral, bilateral and multilateral. Latitude: the latitude is literally the width from one side to the other. Dilate: a dilation is indeed a widening. Relate: literally means, “to go back to the side”; relating to someone is going to their side of the fence! Elation: From the Latin ex-latus (and ex- is, of course, “above”); thus literally, “rising above the sides”. Collateral: From com + latus (com is Latin for “with, together”, like the Spanish con-); thus literally meaning, “side by side”.